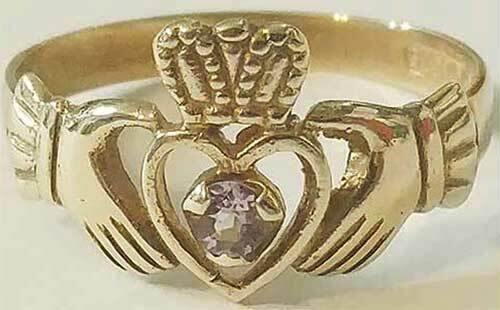 Gold Claddagh ring for women features an open heart with an amethyst stone. This 10K yellow gold Claddagh ring features an open heart that is set with an amethyst stone. This lightweight Claddagh ring measures 3/8” tall and it is an ideal design for a women.